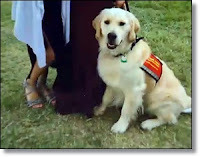 A 15-year-old girl recently lost her “little hero” after someone fatally shot her diabetic alert dog outside her family’s home in Quinlan, Texas. Hannah Westmoreland was diagnosed with Type 1 diabetes when she was 8, but it wasn’t until a few years later that the family raised money to get her a service dog. Her mother, Tina Westmoreland, started a fund that brought in $10,000 from community members looking to help Hannah. 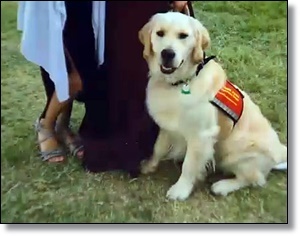 Ultimately, a golden retriever named Journey came into her life. “He was my best friend,” Hannah told CBS Dallas about the dog. Unfortunately, tragedy struck the Westmoreland family on Sunday when 4-year-old Journey’s life was cut short. According to the local Texas news outlet, Journey was let out for his regular dip in the family’s pond before he was found bleeding from a gunshot wound.